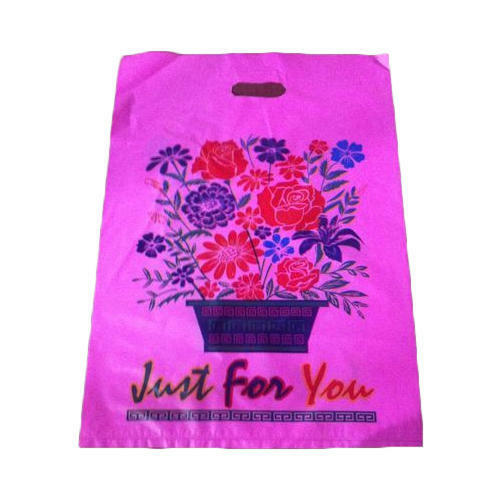 Justifying our position in the national market, we are engrossed in providing a finest class Pink Printed D Cut Bag to the prestigious clients at very inexpensive price. Established in the year of 2004, Sai Plastics are engaged in manufacturing of PP Bag, LDPE Bag, HM Plastic Roll, Garbage Bag, BOPP Bag, Plastic Bag, Non Woven D Cut Bag and much more. Manufactured making use of supreme in class material and progressive tools and technology, these are in conformism with the guidelines defined by the market.